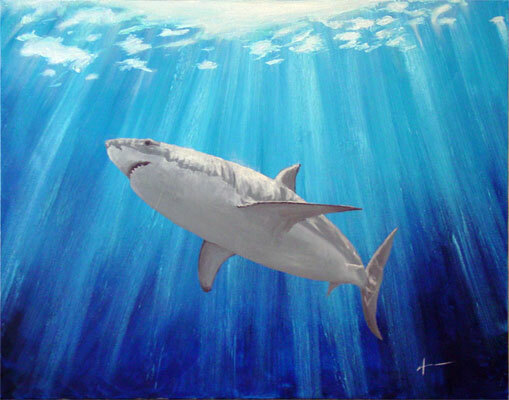 Years ago I painted a Great White shark, Bruce Fandango, as a wedding present for my good friends Jeff and Dawn. When I met Kim and found out she loved sharks, I immediately thought to show her Bruce. The end result (after a bit of pouting that he wasn’t available for sale) was that she commissioned a second, smaller shark of her very own. 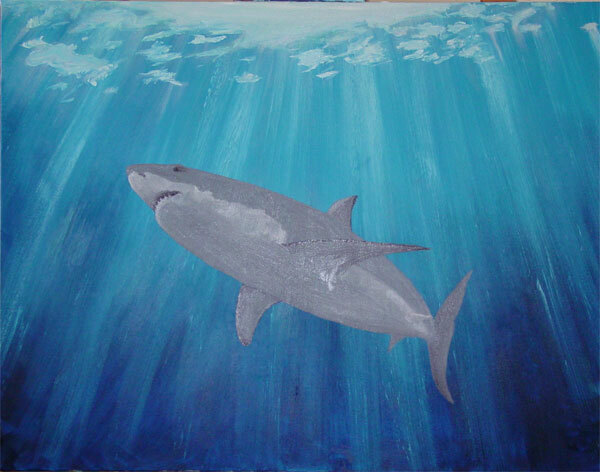 It took me several years to actually get this shark painted; I had the background done and it gathered dust waiting for me to get my act together. After I moved back across the country from poor Kim, however, I had another person back east commission a painting (Gretchen’s awesome squid, Nugget), and so I finished them in tandem so that they could get shipped in one big flat box. I managed to time the delivery so that I could see her face when we surprised her with the finished product, and I have to say, all the delay was totally worth it. I’m told he still harbors a place of honour on their living room wall! 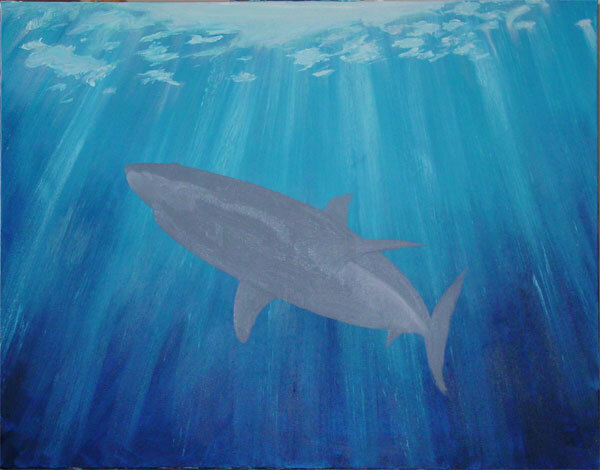 Then, eventually, I slapped the thing back up on my easel while I was working on Nugget the Squid and got the shark sketched in. And then came features! Shadows! Actual shark-like teeth and eyes and things! 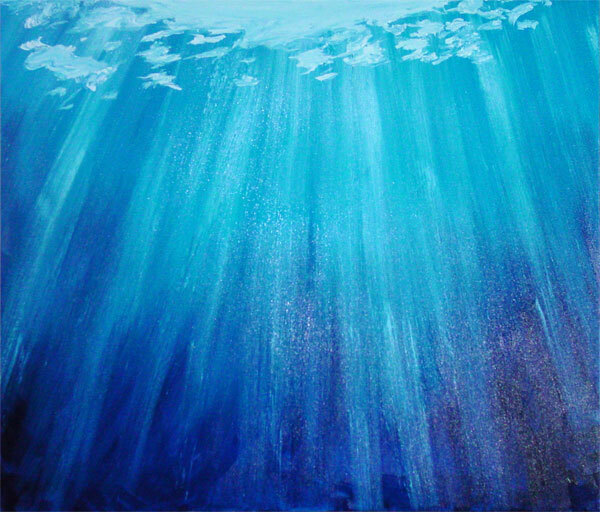 And finally I added in the underwater lighting effects, and a shark was born. And then it dried for a long time while I worked and reworked the squid, and eventually it was sent off, and the rest is history. I really like this one ! Isit for sale? Guess not. I’m sure Jeff and Dawn enjoy it. Do you have any thing else like this?